Did you know that California accounts for 99% of walnut production in the United States? 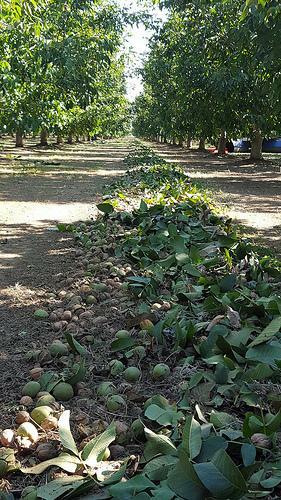 In fact, the Central Valley in California is home to more than 4,000 walnut growers and nearly 100 processors, who ship to more than 40 countries. That’s three-quarters of the World trade! I recently traveled to the Carriere Family Farm, a family who’s been farming almonds, rice, walnuts and now olives in Glenn, California since the late 1800s. 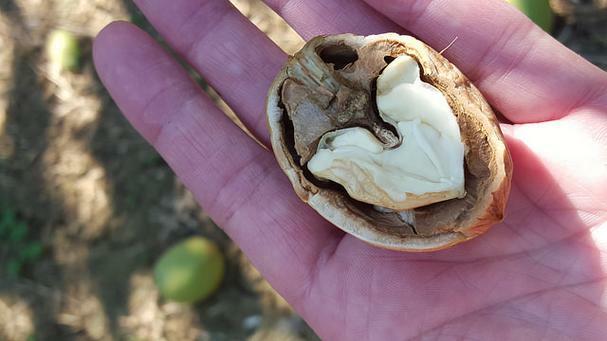 My visit was during walnut harvest season and, and after witnessing the step-by-step process I found I’ll never again look at a walnut the same way. Though the walnuts we eat in the US are referred to as English walnuts (or Persian walnuts), they’re native to a region stretching from Central Asia to the Balkans and first came to California by way of Franciscan Fathers in the late 1700s. They date back to 10,000 B.C. and are the oldest known tree food. In Latin they are known as Juglans Regia, meaning “Royal Nut of Jupiter” or “Jupiter’s Royal Acorn.” Ancient theory in Chinese medicine holds that eating things that resemble parts of the body with benefit that body part. When cracked one way, a walnut looks like the crinkly surface of the brain, cracked another way and the nut resembles a heart, so walnuts were (and continue to be) used in treating illnesses related to these organs. Ancient Chinese doctors were clearly on to something as, since a study first appeared in a 1993 New England Journal of Medicine, nearly 100 clinical research papers have been published in the areas of cognitive function and aging, cardiovascular health, cancer, diabetes, and many other areas. Few whole foods can boast the nutritional benefits that a walnut can. Among its hard-shelled family members, walnuts are the only nut significantly high in alpha-linoleic acid (ALA), the plant form of omega-3 fatty acids. They carry a whopping 2.5 grams per ounce, with pecans a distant second at just .5 (almonds, pistachios and peanuts have none). One ounce of walnuts also contains 18 grams of total fat, most of which are good polyunsaturated fat (13) and ALA (2.5), 4 grams of protein, 2 grams of fiber, and are a good source of magnesium (something in which most Americans are deficient). Walnuts are also high in antioxidants, which help protect us from chronic diseases and support healthy aging. 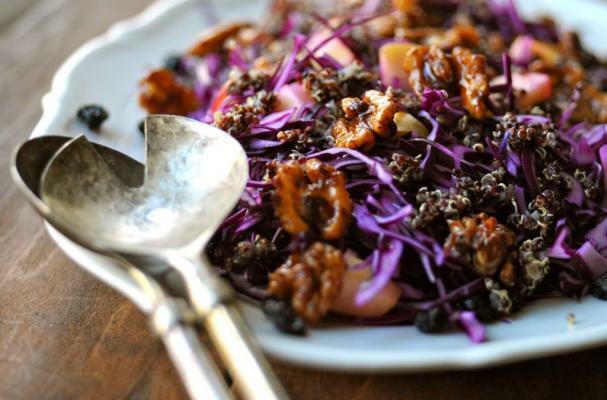 In the testing of antioxidant levels in over 1,000 foods, one study found walnuts ranked just second to blackberries. Toss a handful of walnut and blackberries into your morning smoothie to load up on these antioxidant powerhouses! In 2004, the U.S. Food and Drug Administration approved the first ever qualified health claim for a whole food which stated that “eating 1.5 ounces of walnuts per day, as part of a low saturated fat and low cholesterol diet, and not resulting in increased caloric intake, may reduce the risk of coronary heart disease.” Other studies (in animals) suggest that the consumption of walnuts may slow the growth of cancer. Research published in 2009 showed that eating approximately 2 ounces of walnuts a day for 8 weeks significantly improved endothelial function in patients with Type 2 diabetes. 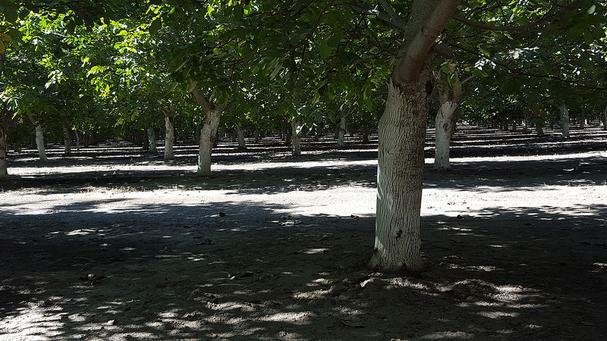 Walnuts grow best in rich soil and with full sun, thus making California’s central valley, with its scorching hot summers, the perfect home for walnut trees. Harvesting typically begins in late August and runs through November, this year the process began in October. I stood under the beautiful shaded canopy of the walnut trees and watched the harvesters do their work. The tree shook violently, pulling slightly out of the ground, and released a shower of thousands of walnuts (see video below). The harvester zipped off to another tree, clamped onto the trunk with it’s padded claw-like levers, and shook, shook, shook again (see video below). The process took just minutes to run through a whole line of trees, the ground a thick blanket of walnuts. The harvester was then followed by what resembled a street sweeper, sweeping the walnuts into a piled row called a “windrow” that ran down the center of the orchard (see image at right). Next came another harvesting truck that swept them up and into a bin for cleaning. After the three harvesting machines did their jobs there was literally nothing left but a few crushed shells here and there on the orchard floor. It was the most fascinating and efficient process I’ve ever seen. quality control inspections, which is why the California Walnut industry has rightfully earned the reputation as producing the highest quality walnuts in the world. To maintain a long shelf life and high quality, walnuts should be stored in a low moisture environment (55 to 65% relative humidity) and low temperature (38-45º F). Also, they should be kept in an odor-free environment. They keep well stored in the freezer in a tightly sealed container or plastic bag. Walnut oil should be store in a cool, dark place and out of direct sunlight. 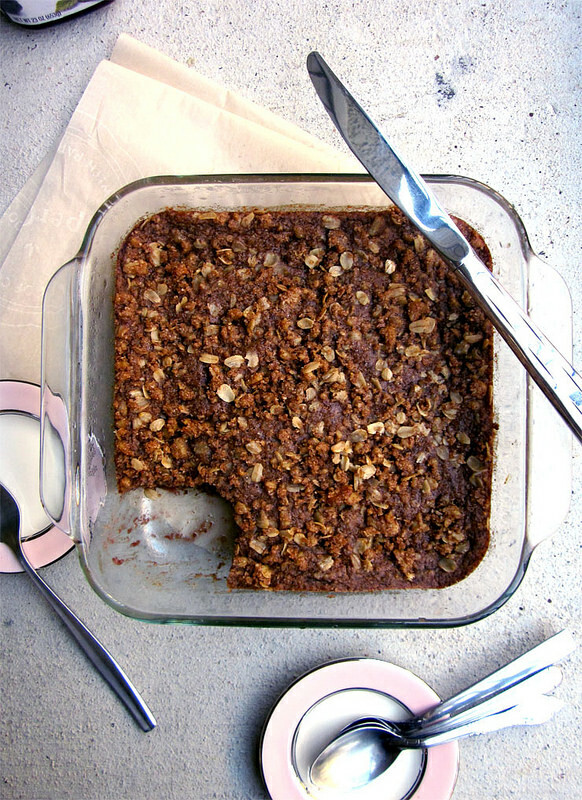 Walnuts are commonly used in baking, but this super versatile nut is excellent in other sweet dishes as well as savory. To bring out the wonderfully rich and nutty flavor of walnuts first toast them before using. 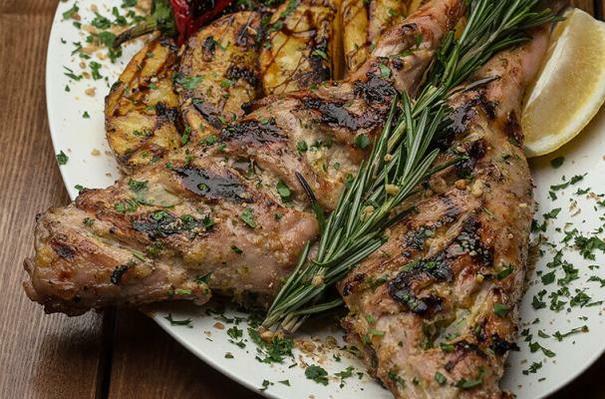 I like to simply toss them in a hot, dry skillet until they turn a deep golden brown. 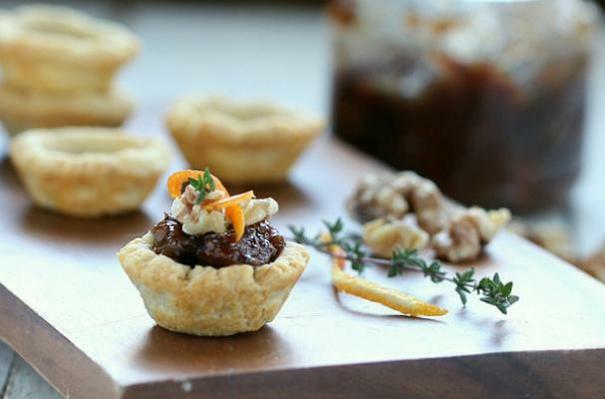 Try some tasty recipes that use walnuts in exciting ways and be sure to check out Walnuts.org for even more culinary inspiration. Editorial disclosure: Foodista's travel and expenses were generously hosted by California Walnuts.